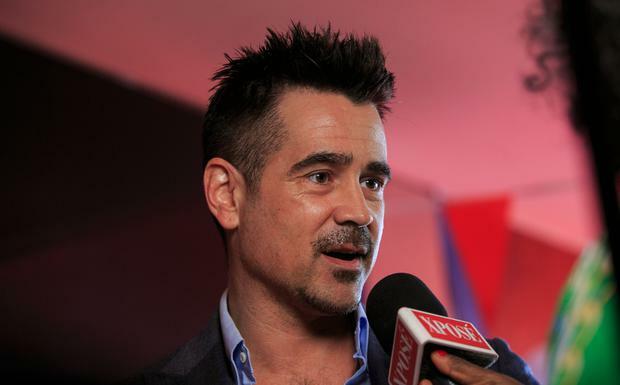 Getting a chance to work with one of his Hollywood heroes Tim Burton made Colin Farrell jump at the opportunity to star in Disney's remake of children's classic Dumbo. The dad-of-two stepped out at the Light House Cinema in Smithfield today for the film's Irish premiere. The 42-year-old told independent.ie that it was great to be a part of a film that his children Henry and James could enjoy too, although his main reason for getting involved was to work with one of his all-time favourite movie icons, director Tim Burton. Colin said he grew up watching Burton’s films, known for their eerie take on sweet stories. Asked what drew him to the script he said: “The opportunity to work with the director Tim Burton – I have been a fan of his for thirty plus years. “I have always loved his films since Edward Scissor Hands and Beetle Juice and so many titles I remember so clearly watching them as a teenager and in my 20s and 30s. He said it was the first film he had been involved in which had such a focus on family. Colin plays Holt, a former circus star who is asked to care for baby elephant Dumbo with his two children by struggling circus owner Max Medici. Dumbo is no ordinary elephant though, born with oversized ears, and when Holt and his family discover Dumbo can fly, business starts to turn around for the circus as huge crowds turn out to witness the flying elephant. And while it is certainly one he can watch with his own children, it wasn’t important to him that he made a movie they could enjoy too - he signed up due to his own love of the story that celebrates differences. “I did it for self-serving reasons. Look, it is a really nice kickback that my kids can go see it and I will say it is the first time I have done something that is so orientated towards families and children and it is really nice to be a part of. “Like the premiere here today, these are usually stuffier affairs so it is lovely to be part of something that is designed for families and kids,” he added.